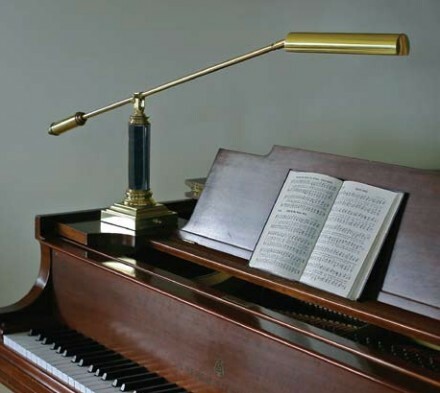 This Polished Brass and Black Marble Piano Lamp is both beautiful and functional. 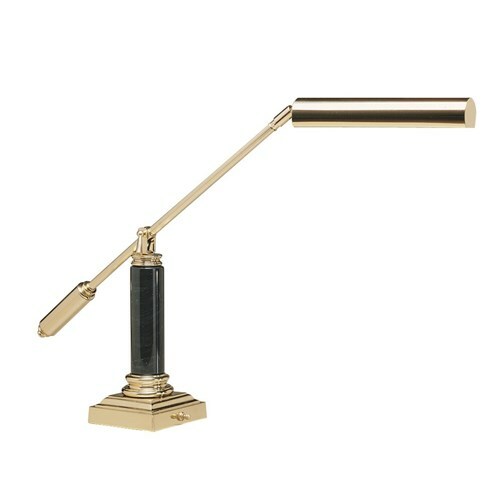 For nearly unlimited control of directing light, the shade swivels, and the balance arm height is adjustable. 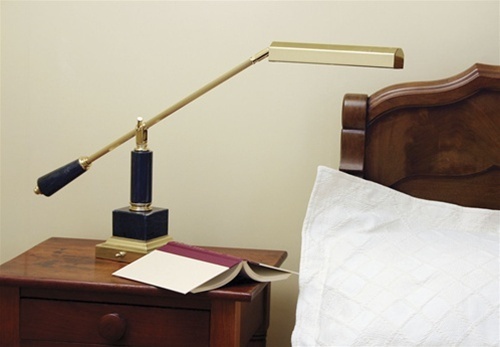 Counter Balance lamps are popular because of their versatility. 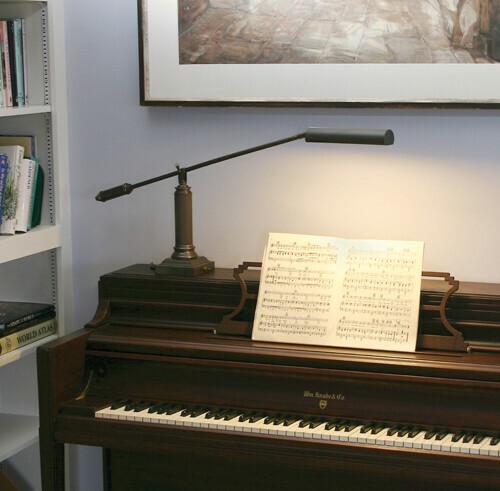 - Center clutch to shade: 18"
- Center clutch to end of handle: 14"
HEIGHT: adjusts from 5" to 22"
Energy efficient fluorescent bulb lasts 10 to 20 times longer than an incandescent bulb - up to 35,000 hours. Due to its natural origin, each piece of marble is unique and may vary in color.